BB Driving School Leeds are your 5 Star choice for driving lessons in Leeds, Wakefield and Bradford because we are one of only 5% of all driving schools who solely use Grade 6 instructors. All BB driving instructors are grade 6 which means you are getting the very best driving tuition in Leeds available to you from the DSA(Driving Standards Agency). All driving instructors in Leeds have to go through rigorous tests and check tests to maintain their standards and ADI badge, they are then marked from 1-6 grade 1 being the poorest mark up to grade 6 which is the best. All driving Instructors have to display their badge in the corner of their windscreen to prove that they are registered with the DSA, a green badge means the driving instructor is fully qualified and a pink badge means they are still in training and have not passed their adi part 3 test, yet may still be charging you the full rate for your driving lessons. Make sure when you are booking your driving lessons you choose a driving school with fully qualified driving instructors in Leeds and grade 6 if you can. All our driving instructors adhere to the DSA code of conduct, are non smokers and conduct all lessons on a one-one basis with nobody sat in the back of the car which some driving schools do! 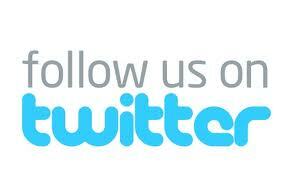 All your driving lessons Leeds will be with the same driving instructor and in the same car. All BB driving instructors use the "must have" dual controlled diesel BMW MINI COOPER CLUBMAN. We use diesel cars instead of petrol because they are easy to drive and less likely to stall making it easier for you to drive. 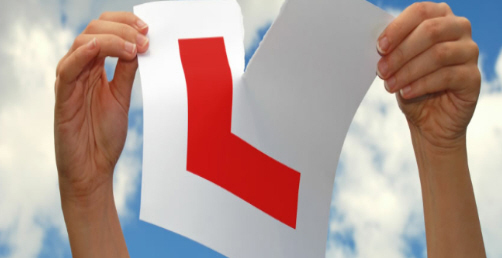 Whether you are a complete beginer, had previous drivng experience,want motorway lessons, want to do a Pass Plus driving course, want some refresher lessons or might have an international licence about to expire we can cater for all your needs. You can take your lessons in 1hr,1.5hr or 2hr blocks or may wish to do a semi intensive driving course Leeds (some times known as crash courses Leeds) whichever is best for yourself. Whenever possible we will try to do your lessons on roads that might be used on your test just to make it easier for you on the day of your test and also point out some blackspots which would have caught you out. With over 15 years experience in driving tuition in Leeds we have a vast knowledge of all test centres and all test routes. The test centres which we use are Harehills, Horsforth and Wakefield. Our aim at BB driving school is to turn you into a confident, aware and knowledgeble driver enabling you to pass your test 1st time in the shortest period possible. The DSA states the average time to pass your test would be 45hrs proffeisional lessons with 20hrs private practice "Im sure we can beat that". If you search on Google maps you will see some of our previous happy pupil reviews. All our reviews are Google 5 stars. Below are a few of them. Justin is a great instuctor with lots of patience. He is very professional and i felt very comfortable learning to drive with him. Thankyou for getting me through my test first time !!! I have recommended him to lots of my friends and they also passed first time. Highly recommended driving school, you wont be dissapointed. Having had 4 previous driving instructors I can safely say that Justin (BB Driving School) is the best I've had. He identified all the bad habits I had and ironed them out, he was very meticulous and was patient with my tenancy to not listen! Would definitely recommend Justin to anyone, passed with only a few minors! I highly recommend Justin, who is a superb instructor. He helped me massively with my confidence on the roads, and is the reason I was able to pass first time. He is very professional, and creates a relaxed driving atmosphere, I would recommend him to anyone. I would strongly reccomend Justin as a driving instructor. I had preiously failed my test 4 times with a different driving school and was very low in confidence to ever pass. I started having lessons with Justin in February this year and passed my test with just 2 minors in April! I felt that he gave me the confidence to drive and taught me to learn from my mistakes. Fantastic Instructor. I have taught (not driving) at various levels and could tell he knew what he was doing. Very patient, very calm and a good sense of humour. I'd highly recommend him to anybody, particularly if you're nervous about driving. Brilliant driving instructor. I would definitely recommend him to anyone that wants to pass their driving test first time. He was very professional and only wanted the best driving from me. I passed my test today with only 4 minor marks! Everybody at the moment is looking for cheap driving lessons in Leeds. Some driving schools only charge £10/hr, after all the expenses they will be working for less than the average wage. Do you think these instructors will be really motivated to help you pass quickly?. BB Driving school Leeds only use grade 6 driving instructors, you will do your driving lessons Leeds in a MINI, excellent reviews from Google maps for our driving instructors in Leeds, high 1st time pass rate. Contact us quick and get your test passed soon.